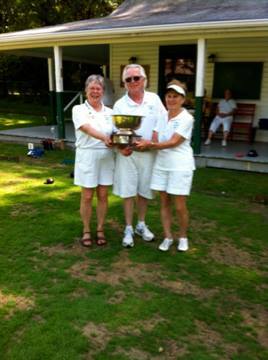 After several years without affiliation, Fernleigh Lawn Bowling Club is once again a member of the Northeast Division and Bowls USA! We have a growing membership that is preserving the traditions of lawn bowling in the Hartford area (along with our friends at nearby Thistle). We would like to thank past NED President Colin Smith and Michelle Arculli for visiting a few years back and inviting us back into the division. We hope to continue our affiliation for many seasons to come! The Fernleigh Lawn Bowling Club was established on June 20, 1923 and opened its current facilities with their own green and clubhouse on August 20, 1925. Fernleigh LBC has been bowling on that same green ever since. A long time member club of the Eastern Division of ALBA and the Northeast Division of USLBA, Fernleigh was the home club of many distinguished bowlers, including 1984 Singles US Champion and USLBA Hall of Fame member James (Jim) Graham. Fernleigh was also a favorite location for division tournaments for many years due to its excellent lighting (much beloved in playoff games that extended well after dark). Visiting Connecticut? Please contact us and maybe even stop by for a game! Club President Gene presents the Club Singles trophy to Ellen in 2012 after Ellen beat Sue in a hard fought match. This was the first time two women had met in the finals of the Club Singles tournament.